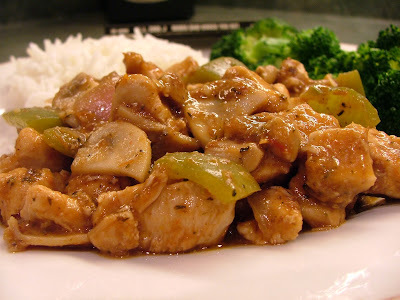 This Rustic Chicken Stew recipe is for all the college and university students who are missing their mamas home cooking. It’s not because this stew tastes like something mama would make, which it does. It’s because in about 1 month when you travel home for the holidays you can use this recipe to knock mama out! Hmmmm, that could be taken a couple different ways. I better explain what I mean. You love your mama right? Of course you do. And your mama has probably been cooking delicious meals for you since you were a bouncing baby boy or girl. So this upcoming holiday season why not show her all that good cooking hasn’t gone unnoticed. Knock her out (in a good way) by preparing and serving her this delicious chicken and vegetable stew. Before you start getting all giddy about this idea I suggest you prepare it at least once before serving it to your loving mama since you don’t want to disappoint her. The beauty is this stew gives the impression that you labored for hours putting it together even though it only takes about 20 minutes. Can I get a…Sha-zaaam!!! To begin, find yourself a copy of L.L. Cool Jay’s ole skool hip-hop tune “Mama Said Knock You Out”. It’ll get the endorphins pumping as you cook. It'll also keep you focused on the goal, which again is to knock mama out by stunning her with your newfound culinary skills...not knock her out cold. Once you’re groovin’, just follow these 4 easy steps. Coat the chicken in flour. Cook the chicken. Cook the vegetables and finally add the spices and chili sauce before giving it a stir. I know you can handle it. Once you’ve finished preparing your trial version, share some with you roommate, housemate, girlfriend, boyfriend or who ever is around at the time. If it that special person doesn’t slap you silly for serving it to them you’re good-to-go. Oh mama is going to love you for this! All right enough daydreaming. Here’s the recipe so you can give it a shot. In a small bowl combine 2 tbsp flour, salt and pepper. In a large bowl, toss chicken with flour mixture. In a large deep skillet, heat 1 tbsp oil over medium heat. Add chicken. Cook until chicken is browned and no longer pink in the center, about 6 to 8 minutes. Transfer chicken to a bowl and set aside. Add remaining ½ tbsp of oil to skillet. 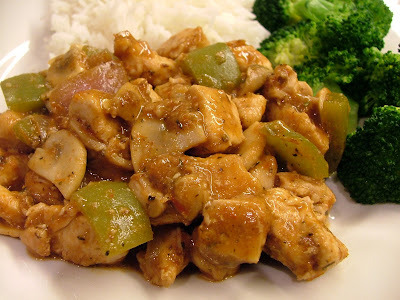 Toss in green peppers, onions and mushrooms. Cook over medium heat until vegetables begin to soften, about 4 to 5 minutes. Add Italian seasoning and remaining ½ tbsp flour. Cook and stir for 30 seconds. Add chili sauce and chicken broth. Cook and scrap up any brown bits from the bottom of the skillet with a wooden spoon. Cook for 5 minutes more or until sauce thickens. Lightly season with salt and pepper. Serve warm.